We’re happy to offer you a simple, ironclad 90-Days-or-Free guarantee – the ONLY software in our market with such a guarantee (to our best knowledge). By making this guarantee, we assume all the risk so that you can try IdeaGlow risk-free. Here’s how it works. Sign up for our 30-day free trial and start using IdeaGlow. If you’re happy, convert to a paid account and keep using it for up to 90 days. Why Are We Offering You This Unusual Guarantee? Try it yourself over the next 90 days and find out whether it helps you too – click the button below to get started now risk-free. Sign up for our 30-day FREE trial. It takes under 5 minutes to sign up. As IdeaGlow is 100% web-based, there are no installation issues to worry about. Customize IdeaGlow to fit your needs and use it to manage your ideas and innovation process. It is a fully functional FREE trial to enable you to get a true feel for how it can help your team. We offer free support to assist you. If you’re happy so far, you can convert to a paid account. You can pay via credit card or purchase order (PO) – your call. As IdeaGlow starts at just $499/month, you will save a lot over comparable software. 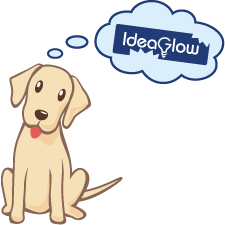 Use IdeaGlow to store, track and manage ideas from your employees and/or customers. Add as many ideas as you’d like. Put it through the paces, and see for yourself how it can benefit your organization too. If you feel IdeaGlow did not help you improve your idea management process – simply cancel your account at any time before day 90, and ask us to refund your fees. We’ll issue a fast and courteous 100% refund, no questions asked.